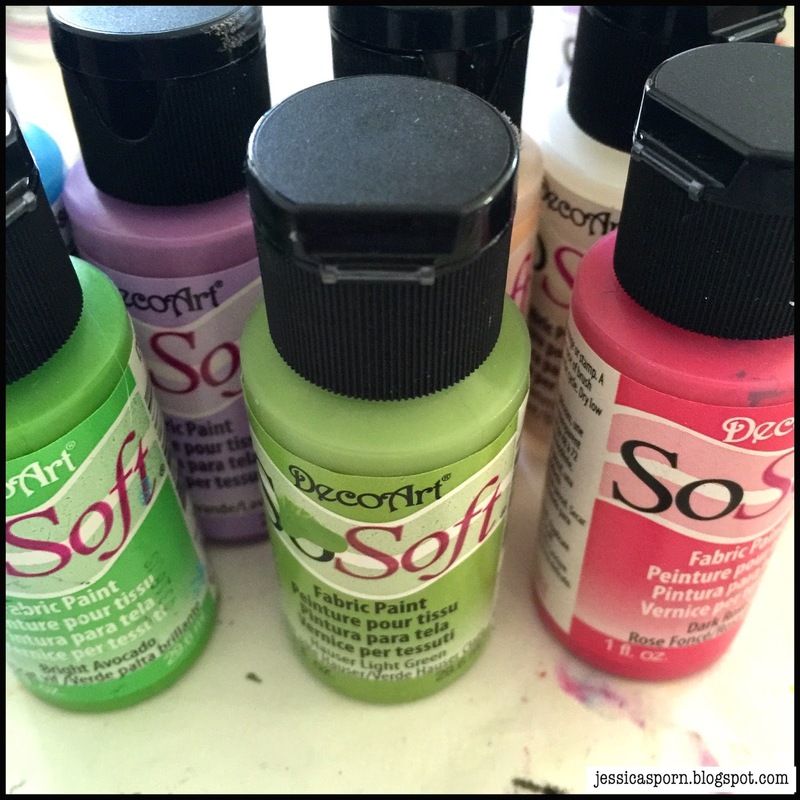 Hi - Jessica Sporn here. 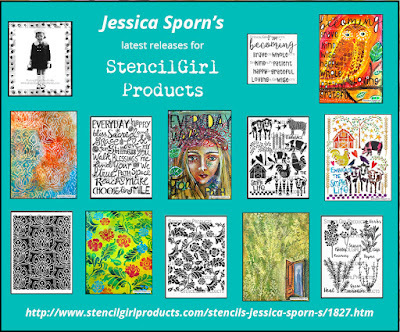 Stencil Girl just released six new stencils that I designed. And my cousin's daughter just had a baby girl named Addison. 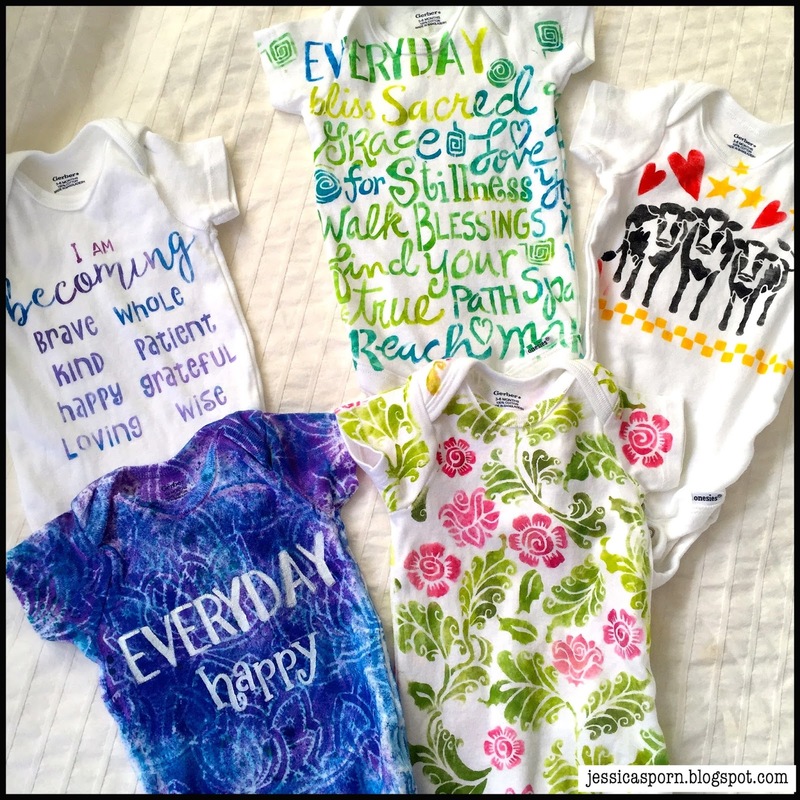 So I thought I'd combine these two events to create one of a kind onesies! 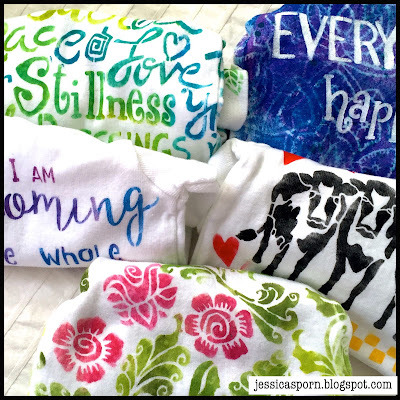 I bought 6 cotton onesies and washed and dried them. 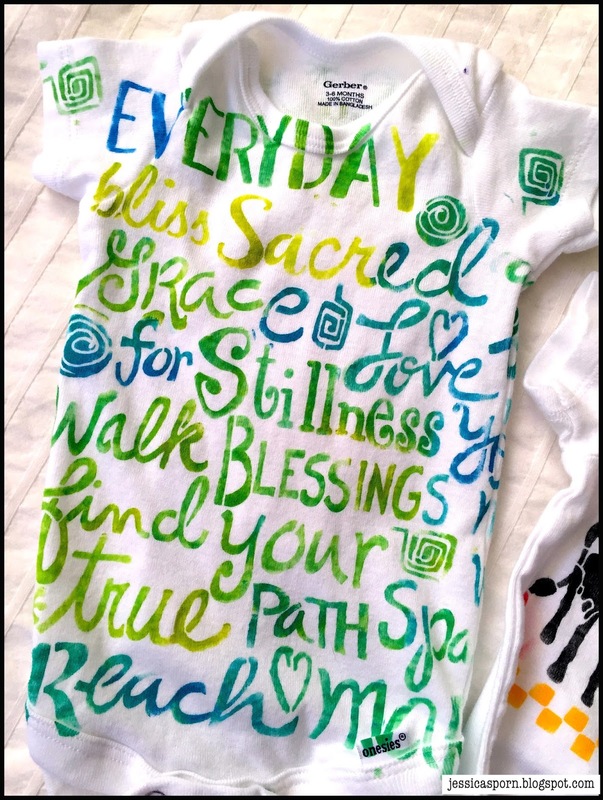 Then, using cosmetic sponges and DecoArts Fabric Paints, I got to stenciling! For the first one, I put a piece of cardboard inside the onesie and proceeded to pounce through it using the L421 Eastern Lotus Repeat. 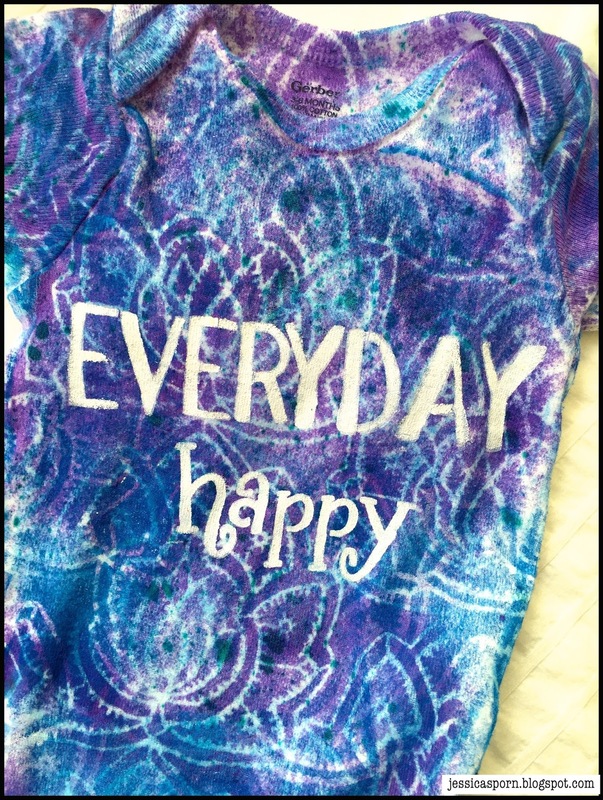 The repeating pattern made it very easy to seamlessly line up the front, sides and backs with this fun pattern. 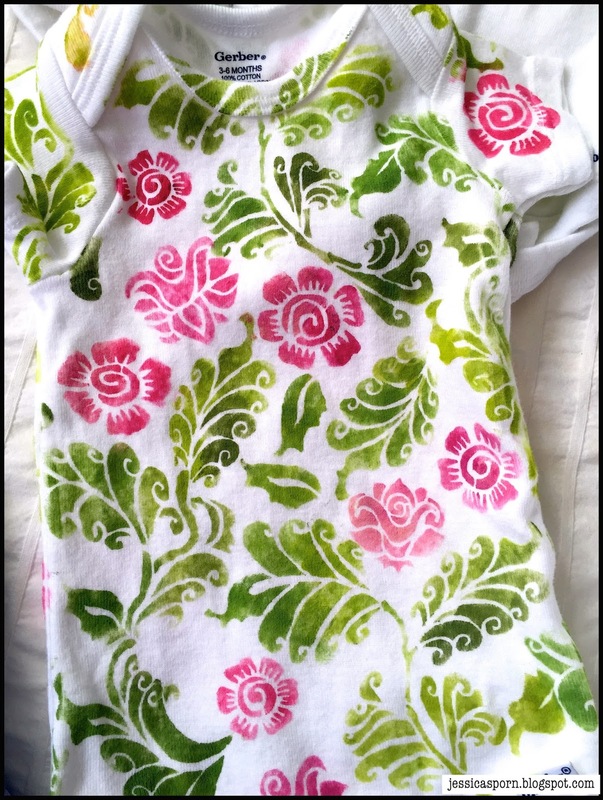 Next, I thought I'd see what happened if I brayered the fabric paint on the gelli plate, laid the Lacy Lotus Repeat on the plate and then pressed the onesie down. It took a lot of tries to finally get coverage, but in the end I was happy with how it looked. 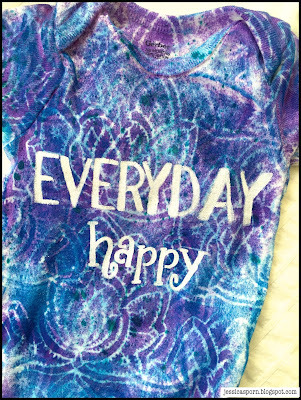 I added the phrase "Everyday Happy" using the Sacred Words and Marks Stencil. 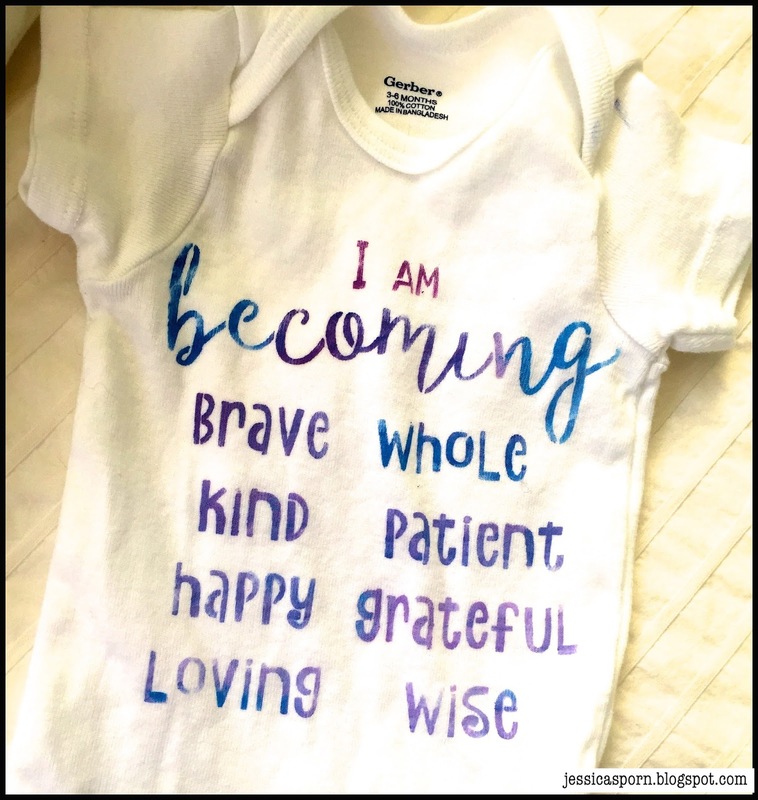 While I had the words out, I decided to just cover a onesie with the words. I hope that Addison is blessed with the sentiments in this stencil for every day of her life. These cows, the border, hearts and stars are from the "On the Farm" stencil. I was tempted to break out into "Old MacDonald Had a Farm" as I worked on it! And finally, I used the Becoming Stencil. 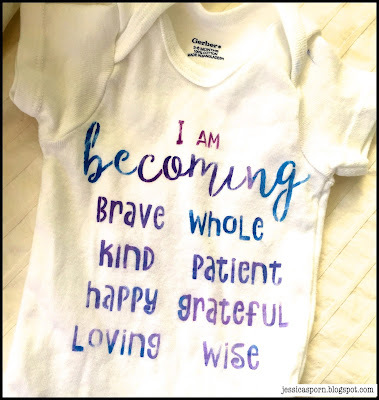 Because, after all, that's what all babies are doing.... becoming! 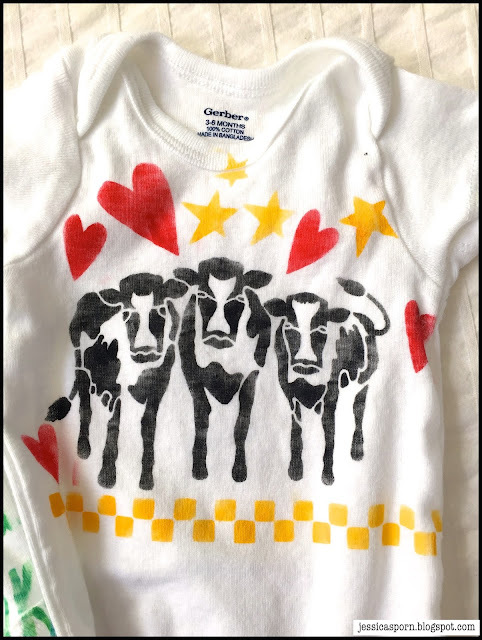 Once I finished stenciling, I heat set the onesies by putting them in the dryer on high for 20 minutes. Then I washed and dried them again, and packed them up to send to baby Addison. I hope she likes them! 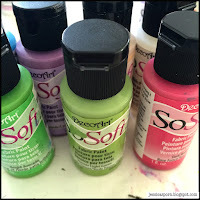 I hope this post sparks your creativity and gives you ideas for other ways to use your stencils. To see a video of my process creating these onesies, hop on over to my blog where you'll also find lots of other ideas on how to use your stencils! Thank you Win She's so cute. Can't wait to post pics of her wearing them. Your stenciled layette idea is fantastic and the results shown here are pure delight!